How to create tasks in SharePoint? SharePoint 2013 allows you to create tasks without too much hassles with minimum effort and time. You can create and manage your tasks easily from anywhere and keep it secured at a central location, which makes it easy for you to share and update your task list using any device from any location. Task creation process in SharePoint involves just some few simple steps. This article will take you through quick screenshots to help you understand how to create tasks in SharePoint 2013. 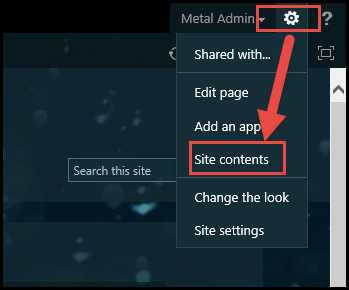 1) Firstly, go to Site Contents under the Settings gear on the top corner of the site. 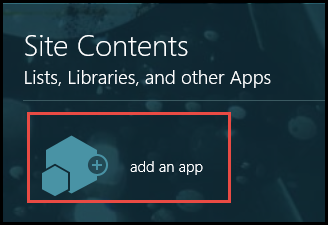 2) Under Site Contents, click on Add an App option. 3) Select the Tasks app. 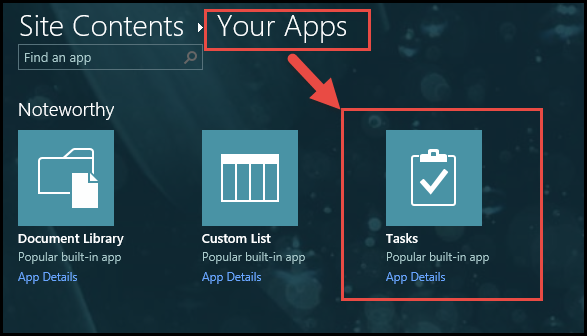 4) Name your Task list as you want and click on Create. 5) And your task list is created. 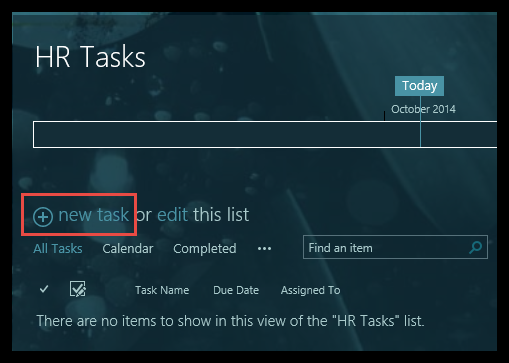 6) Once your task list is created, click on New Task option to allot and create tasks for each person in your team. 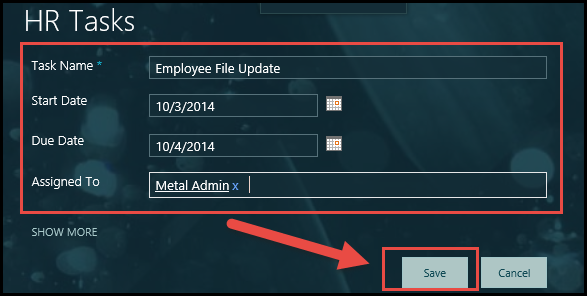 7) Add Task Name, start and end date, i.e., the timeline for the task, assigned persons email address, and Click on Save. 8) And the task for that particular person will be created. Similarly you can create multiple tasks using the same process in a SharePoint site.